When the recession of 2008 hit, housing and land developers found themselves hit particularly hard. Lindsay Neathawk was a graphic designer for a land developer, and soon was impacted by the recession as well come 2010—and found herself looking for a job. 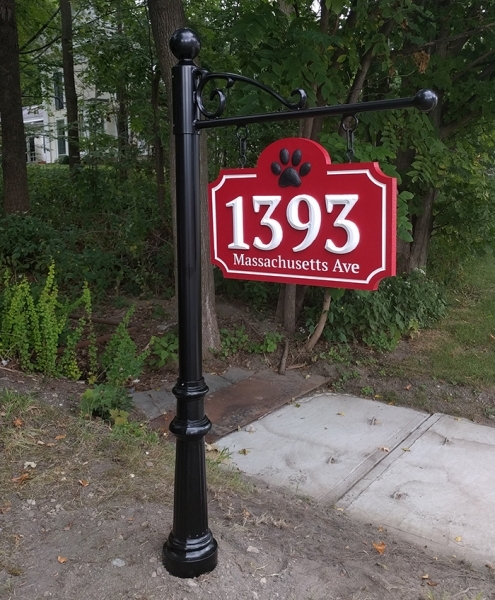 Instead of standing still and waiting for a job to come to her, she decided to invest in her first CNC tool (a CNC Shark) and began a sign making business in her garage. Neathawk Designs was born. 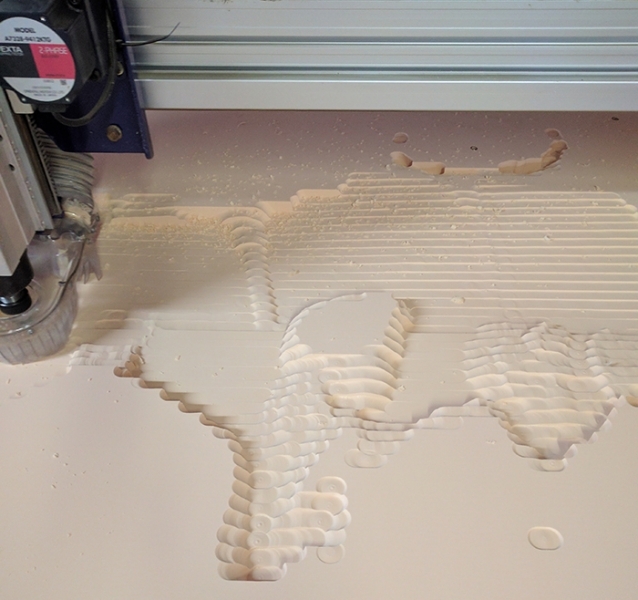 Because she was using her CNC tool for hours on end, and milling PVC over long periods of time, she kept breaking her machine. She found she outgrew the tool quickly, it only took about 2 months. But she continued on with the tool and used it for about a year before determining she needed a tool that was bigger and a bit more robust. 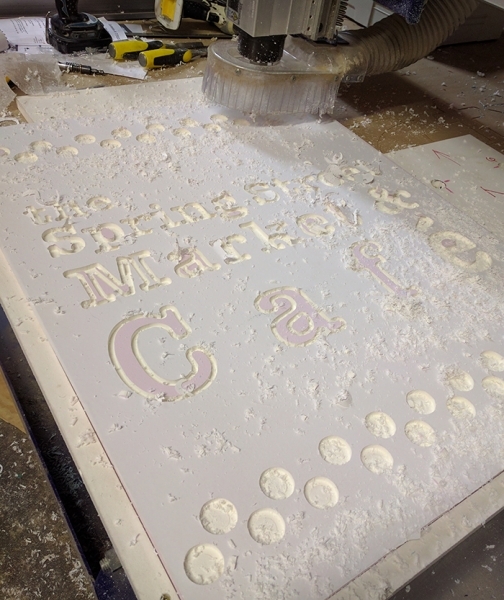 In 2011, after much research she chose ShopBot’s Full Size PRSstandard. 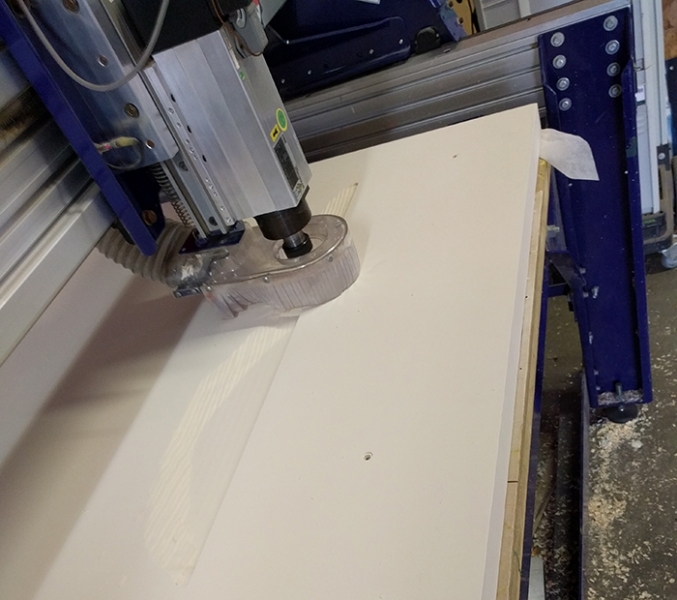 As a part of being able to get up and running on the machine in a timely manner, she and her husband attended one of ShopBot’s Basic Training sessions on-site at the ShopBot facility. 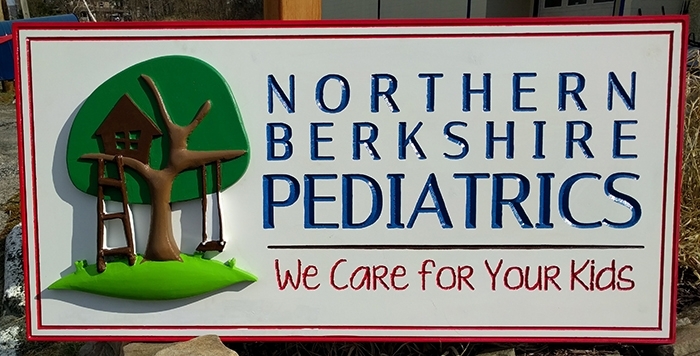 Once they returned home to Williamstown, MA in The Berkshires, Lindsay started working with the VCarve software and building sign files. That didn’t last too long, though. 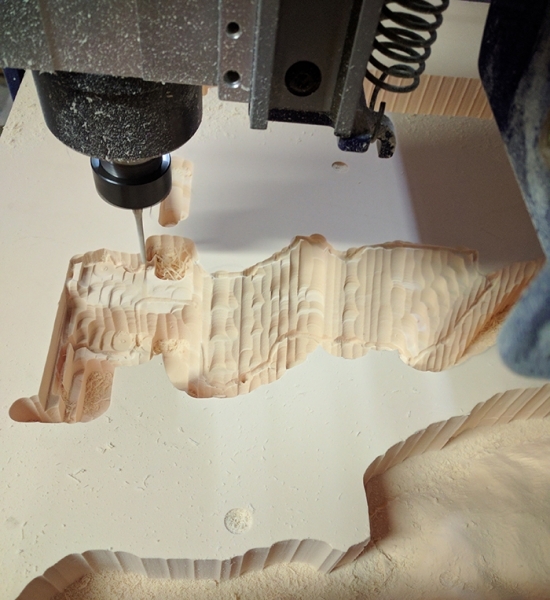 Three months after using VCarve, she decided to switch to Aspire. 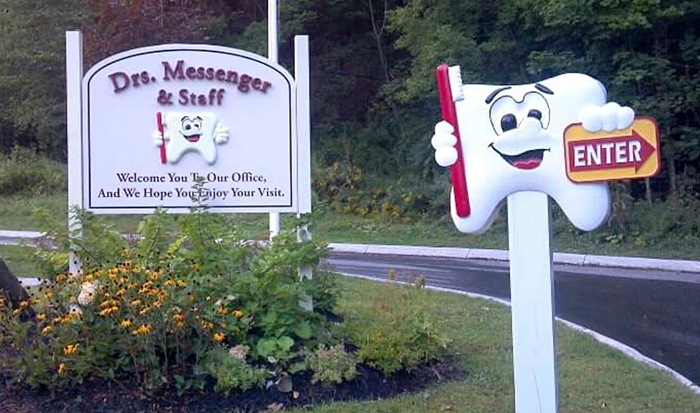 Lindsay told us, “I was so excited about doing 3D work, that I had to move from VCarve to Aspire to achieve the results I wanted.” Her first 3D project was a sign design for a dentist that included 3D teeth. The signs that jump started using Aspire for projects. While Neathawk Designs gets the majority of their work via word-of-mouth, referrals, or repeat business, sometimes a project comes up because of who you know, not just what you know. In 2012, Lindsay’s husband, Ryan, was speaking with one of their neighbors, Dr. Donald H. Sanders, an archaeologist. He had moved into the realm of digital media and had developed software that takes digital photos shot with a smartphone and converts them into 3D computer models, which can then be used for interactive archaeological visualizations. 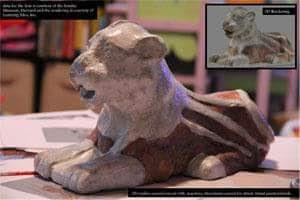 At the time, he was working with Harvard University’s Semitic Museum on a reproduction of a ceramic lion that had been destroyed 3,000 years earlier in the ancient city of Nuzi, in ancient Mitanni, (now northeastern Iraq). 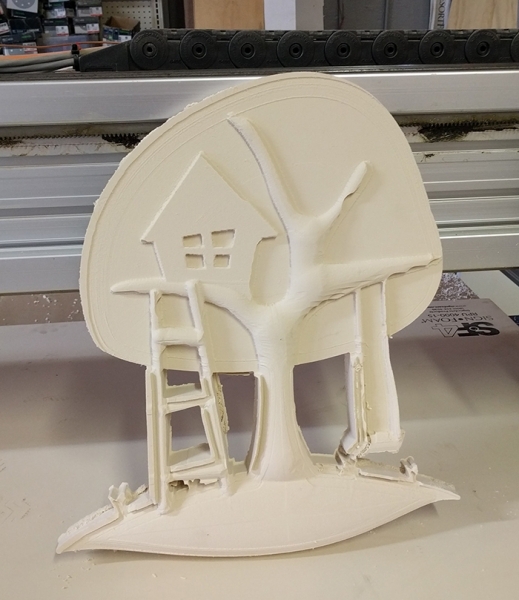 Apparently Ryan had the utmost confidence in his wife’s ability with her CNC tool, and suggested that they work together on a physical reproduction of the piece. While she hadn’t done this kind of project before, Lindsay forged ahead. 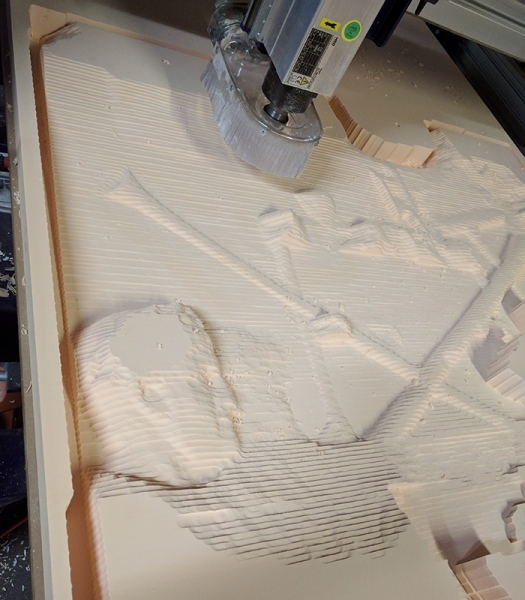 She cut a prototype from foam on her ShopBot and when the people at the Harvard Semitic Museum were shown the result, they were blown away. 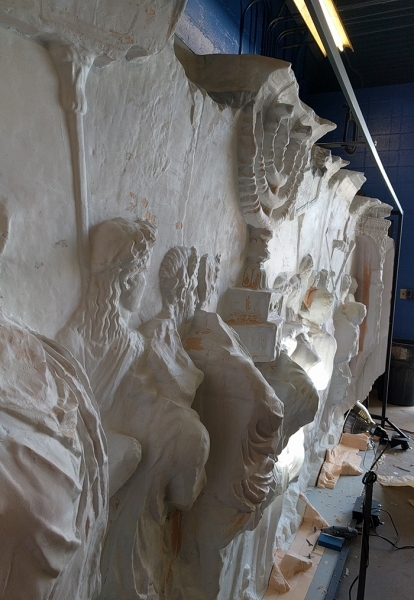 She was then asked by the museum to create a full-sized version, using the same technique, for display in the museum alongside the remaining fragments of the original. In subsequent years, Lindsay and Ryan determined that they wanted to expand their shop. First came the addition of a couple of pieces of equipment that gave them the ability to offer their clients more. 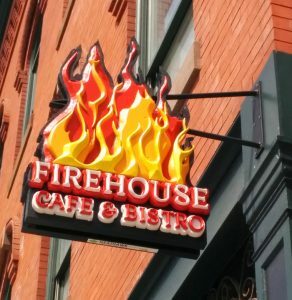 Their sign business continued to thrive. 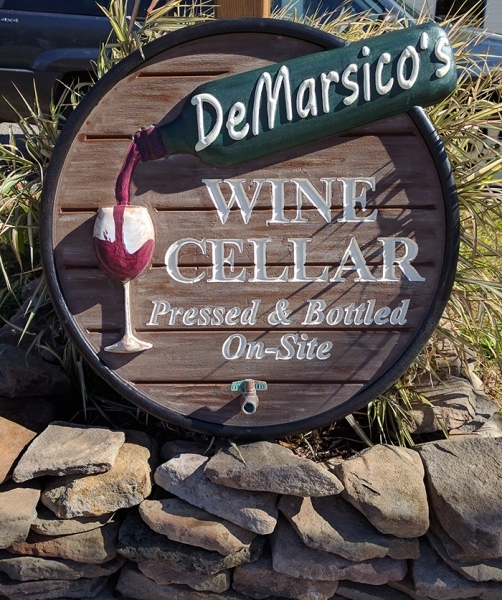 They then realized that their garage just wasn’t enough space for the business and moved into a larger, much more spacious facility. More room to move, more room for equipment, and as it turns out, more room for larger projects. In the meantime, Learning Sites, Inc., the company founded and run by Dr. Sanders, had begun work on another project. 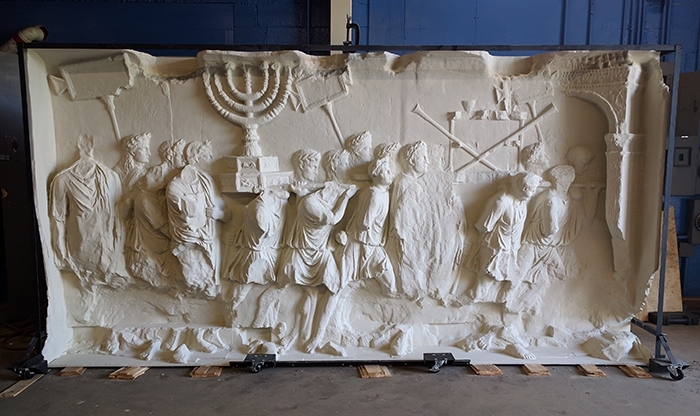 The spoils panel from the Arch of Titus in Rome was being studied and re-colorized as a part of an exhibition “The Arch of Titus – from Jerusalem to Rome, and Back” for the Yeshiva University Museum. After exploring several options, the museum decided that having a full-scale replica of the important Roman sculpture would be the most beneficial way to display it in the exhibition. To enhance the experience, a digital replica and colorization that Learning Sites had developed would be projected over it. 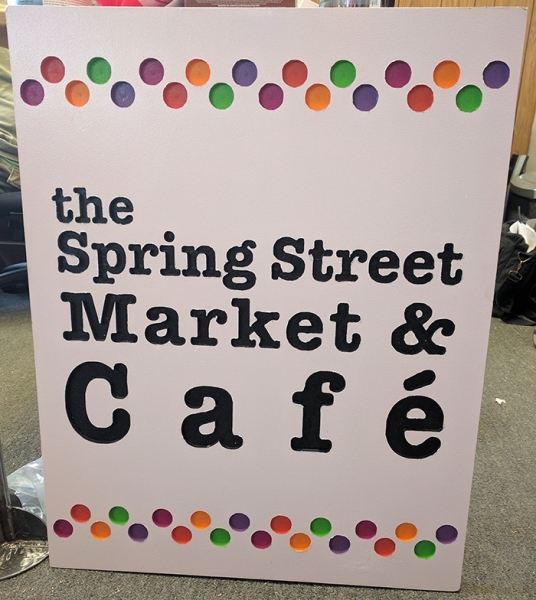 Learning Sites contacted their friends at Neathawk Designs again, hoping they could help as they had with the Nuzi lion. 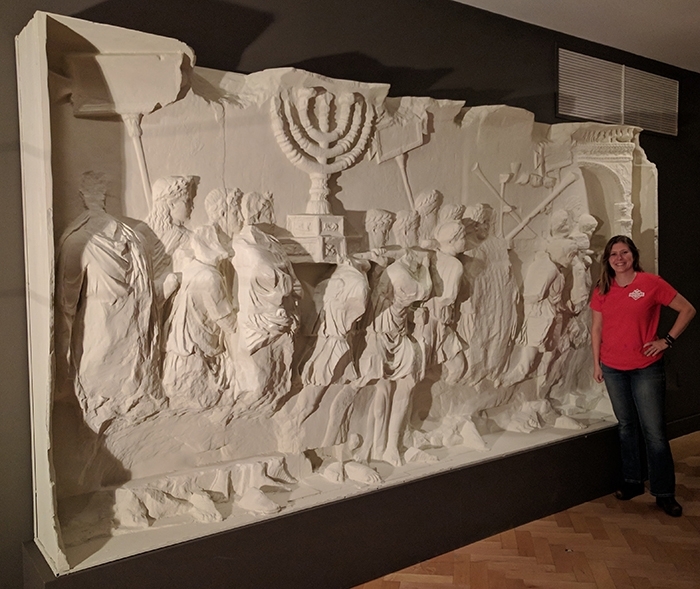 Lindsay accepted the challenge of recreating the Roman relief panel and got to work on the project that was going to consume her life for almost two months. 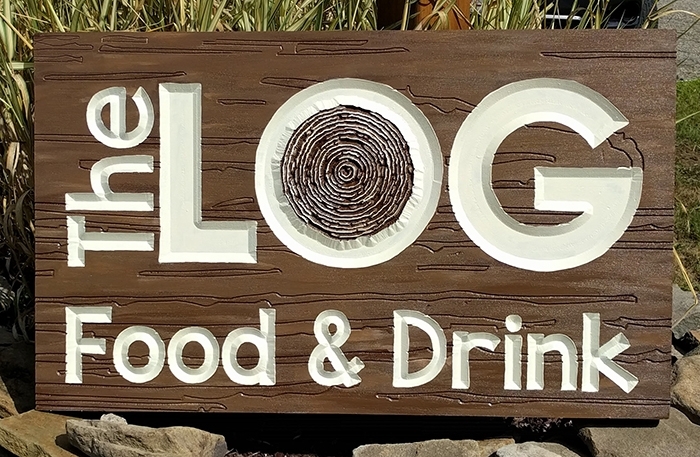 The final piece is 1.5’ deep x 12.5’ wide x 6.5’ tall. Quite a bit larger than the bed of her 4’ x 8’ ShopBot PRSstandard, but that didn’t stop her from figuring out a way to make it happen. She divided the full-sized piece into four smaller panels, then used Aspire to create slices of each panel, with the slices building one on top of the other to complete the final surface. Each panel is made up of nine slices which means there were 36 slices in total. 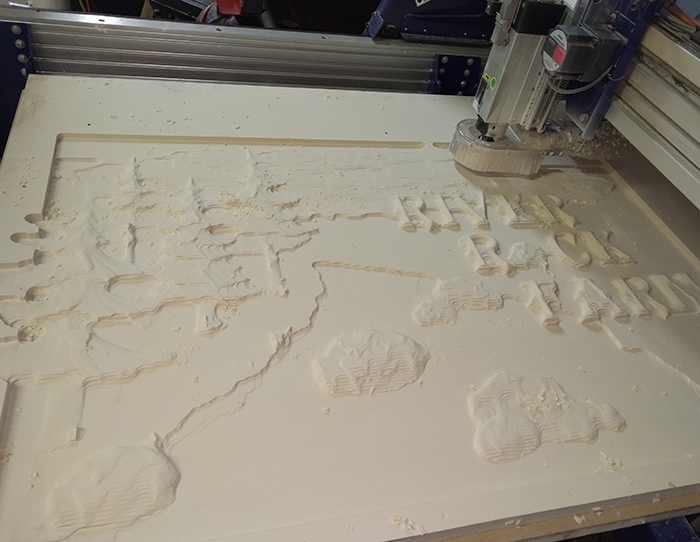 Once the software work was done, it was time to put her ShopBot to work. 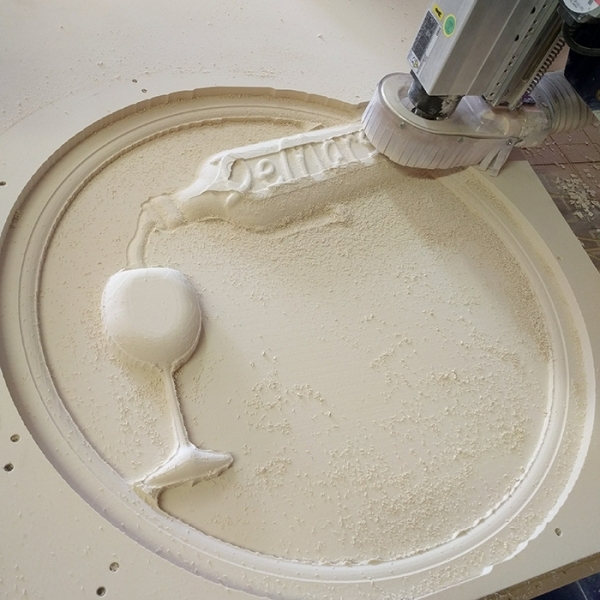 In the beginning, Lindsay sometimes had her ShopBot running for 24 hours straight! After 49 days straight, averaging 10-12 work hours a day, the piece was finished. 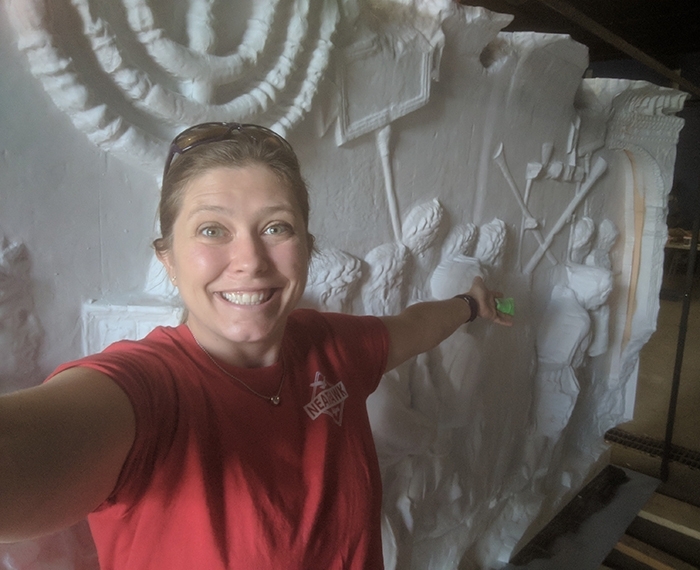 To meet the deadline, she had promised that she wouldn’t work on any other projects until the Arch of Titus panel was complete. 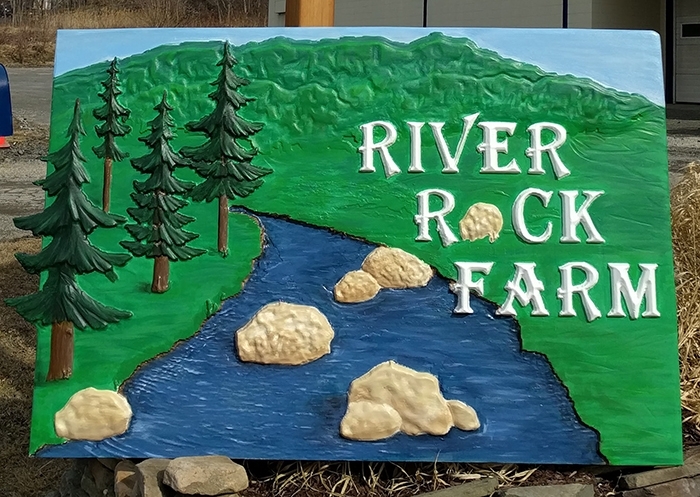 By the time she completed it, she had 25 sign projects waiting for her attention. While Neathawk Designs is Lindsay’s full-time job, her husband Ryan participates in the business as well. He not only contributes ideas (which are often a helpful different perspective), he does some of the fabrication work as well, particularly in metals. One of his more recent contributions was building a plasma cutter from scratch. 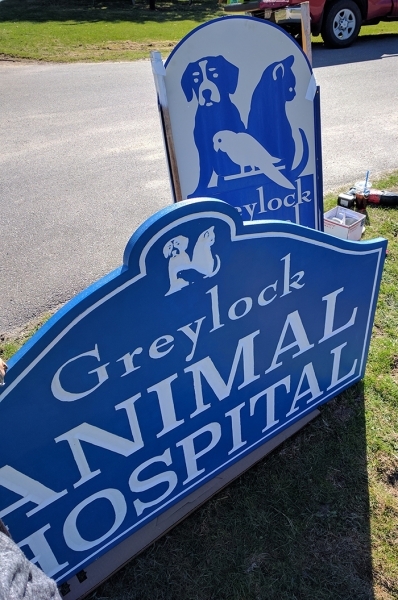 Although he has a full-time job as a general contractor, he’d like to eventually stop doing that and do work for Neathawk Designs full-time. They’re not quite there yet, but it’s not too far out of reach. Wow thank you Patrick Mcgeehan!!!! That means so much to us! 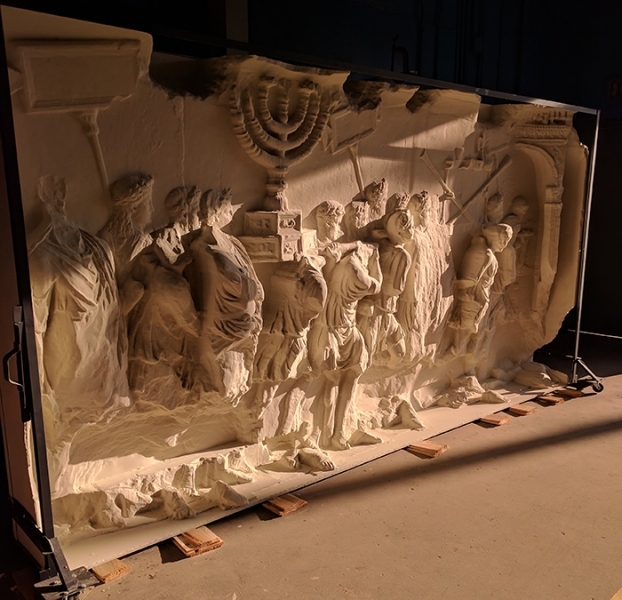 Your panel from the Arch of Titus in Rome looks amazing. The Menora is the model for the symbol of the State of Israel. All the arteffects were taken by Titus fron the Second Temple from Jerusalem. These iteams are carried by the Tempel servents (chohanim and Levies). 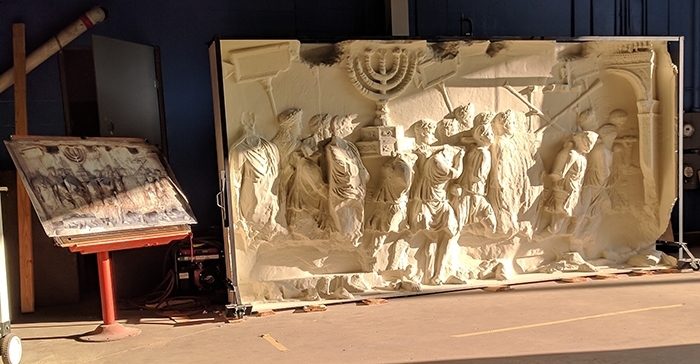 The figures in the sculpture are jews taken as prisoners to Rome.